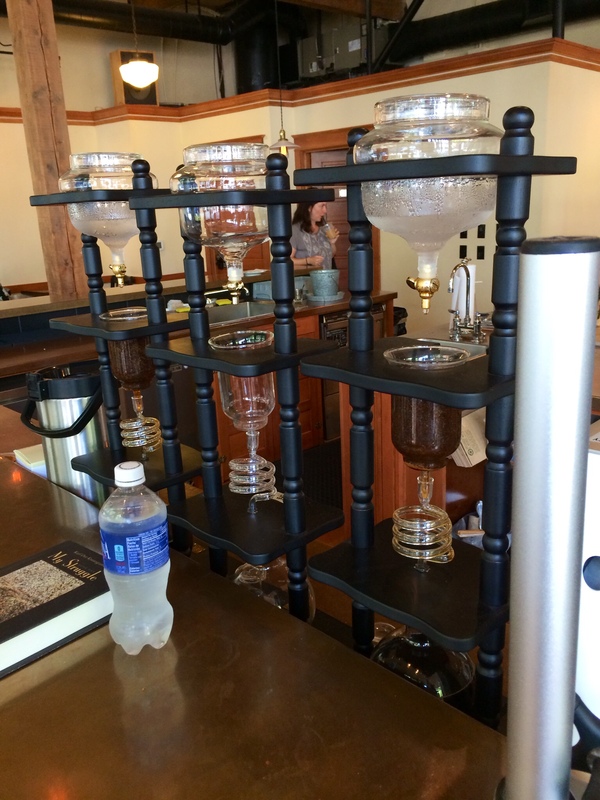 The drip pots at Case Study Coffee. 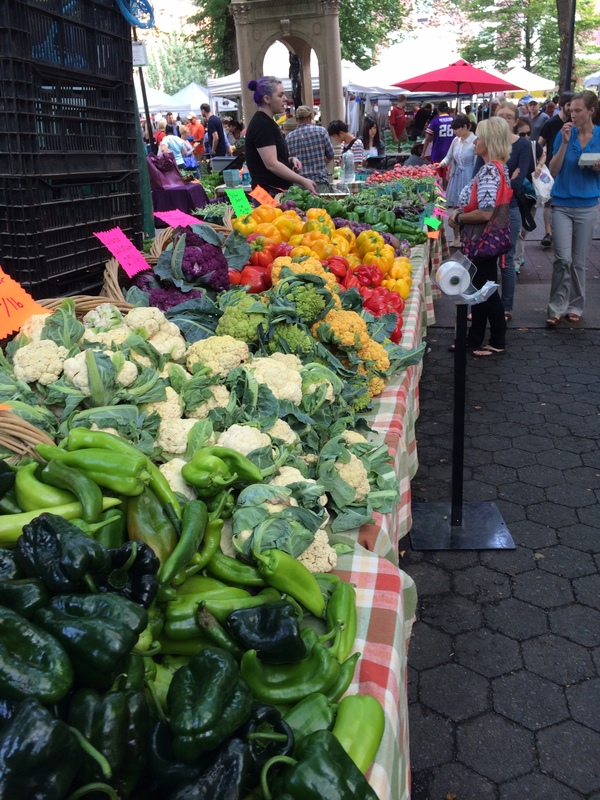 Everything is ripe in August. Have you tried bone marrow and smoked cherry ice cream? 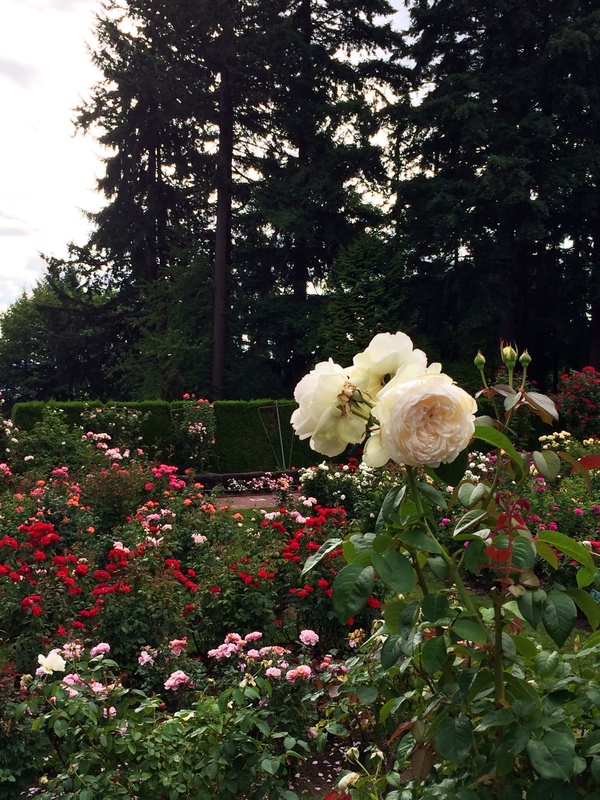 This entry was posted in Travel, Uncategorized and tagged bridges, gardens, northwest, Oregon, Portland, roses, travel. Bookmark the permalink. 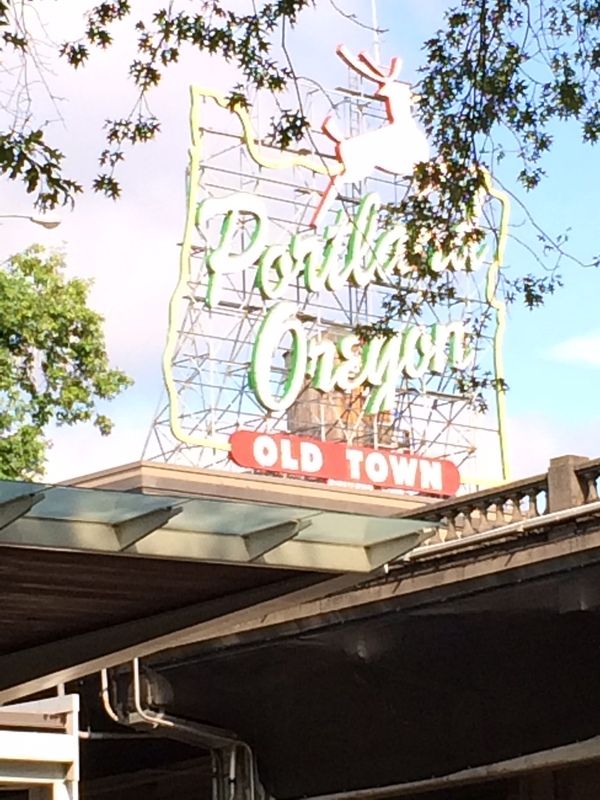 I’ve not been to Portland, but hope to visit some day. Interesting collection of photos. The first bridge photo looks very similar to a bridge in my home town of Winnipeg. 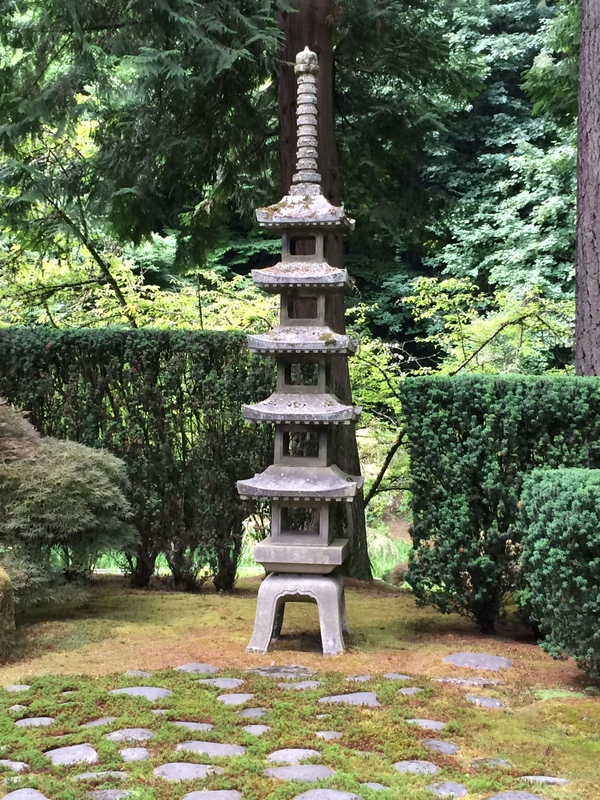 Portland is high on my list, thanks to countless friends raving about it. Your pics give me a better visual on why it’s so awesome! Thank you. Great photos. 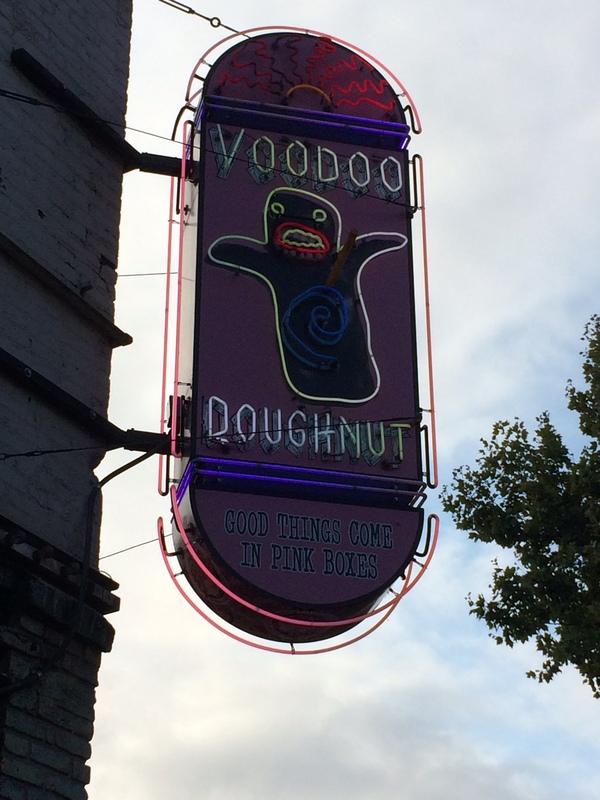 Have never been to Portland but it looks like an interesting place. Ken, what a great pictorial display – the old saying ‘A picture is worth a thousand words’ is certainly true in this case. They really showed what Portland is like. Thanks for sharing. Great photos. That bridge is incredible, looks like one near Boston. 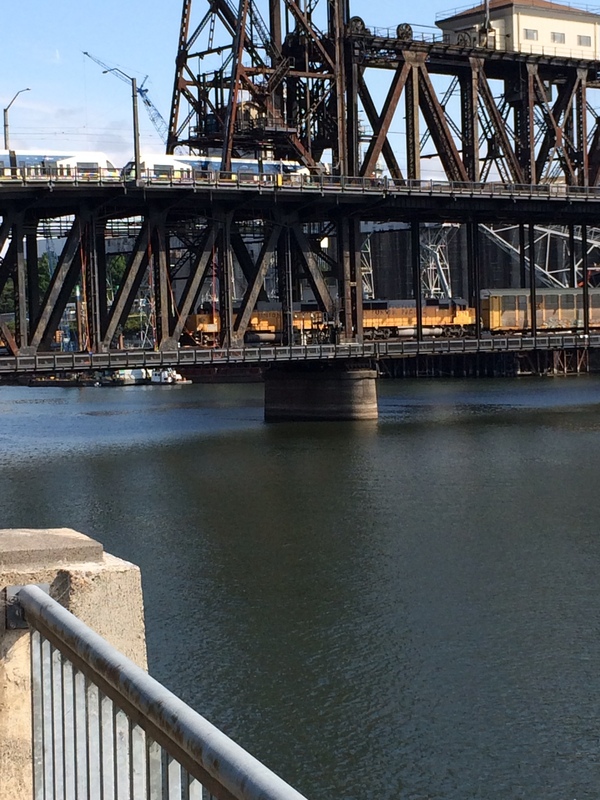 That’s a crazy weird little city is Portland and your photos illustrate it well. It is a city with a major identity and one I think most who live there are very proud of. Yes. I think they sort of celebrate their weirdness. I am a native from San Francisco and lived in the Bay area most of my life. 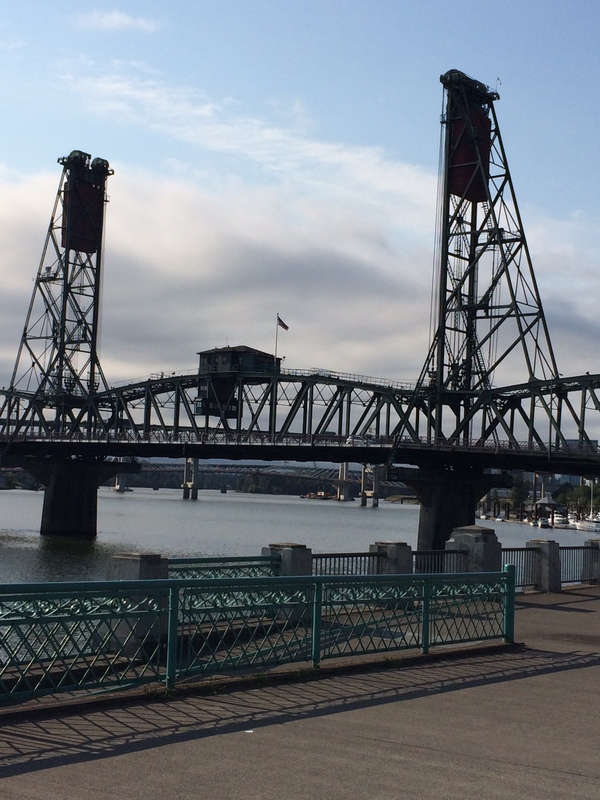 What is interesting is that we never visited Portland. 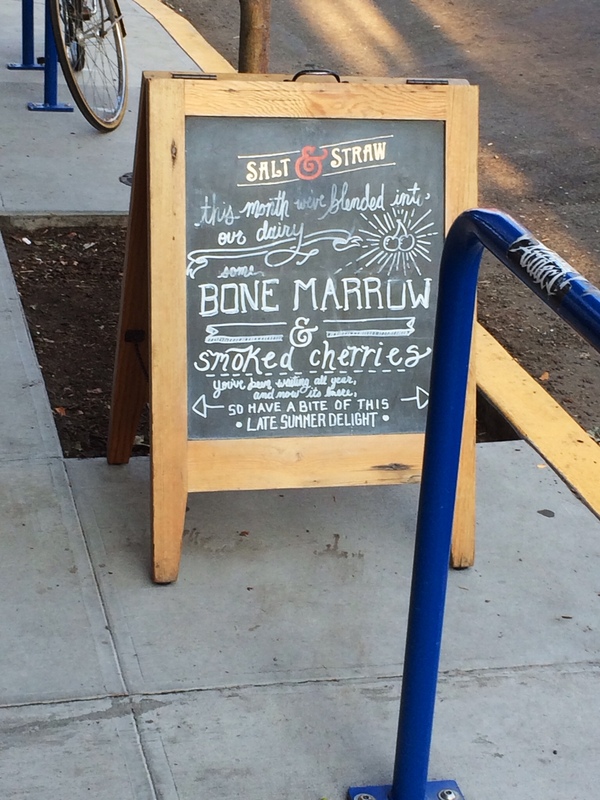 Did you try the bone marrow ice cream and smoked cherries? Nope. If I had my dog with me I would have let him try it. 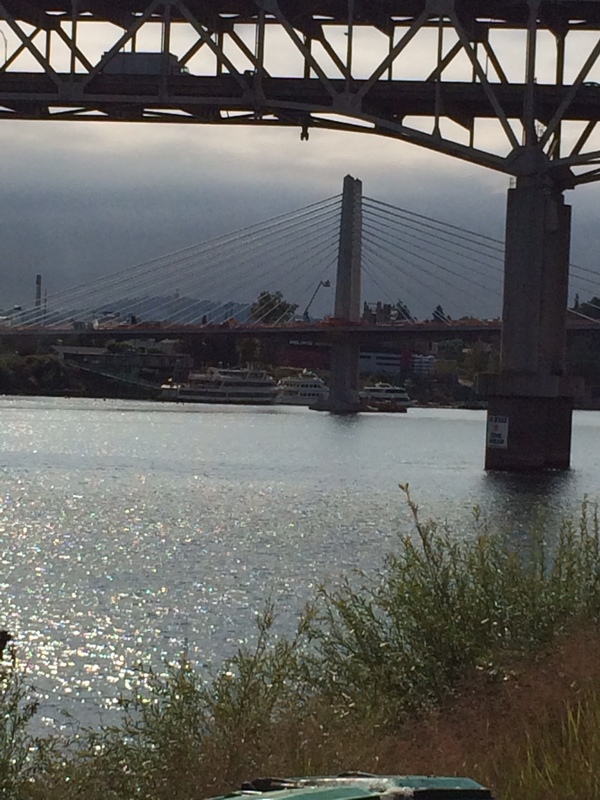 Thank you for sharing Portland in such a fun way! I’ve never been but have always been curious as I keep hearing how beautiful it is. Your photos are fabulous and I can see why so many people fall in love with this special city. I love Powells! I could spend hours in that place. What more could you ask from a city than good coffee and good bookstores? These photos were great, and I like how you organized them. Did you try the bone marrow ice cream? Couldn’t bring myself to try the bone marrow ice cream. Needed my dog for that. 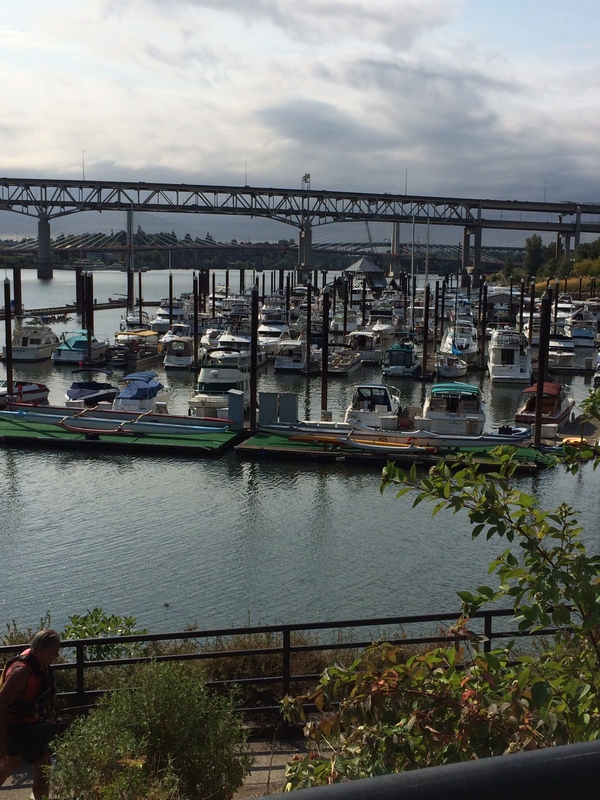 Portland is on my list of cities to visit. It looks like a nice area. You had me at bone marrow ice cream. 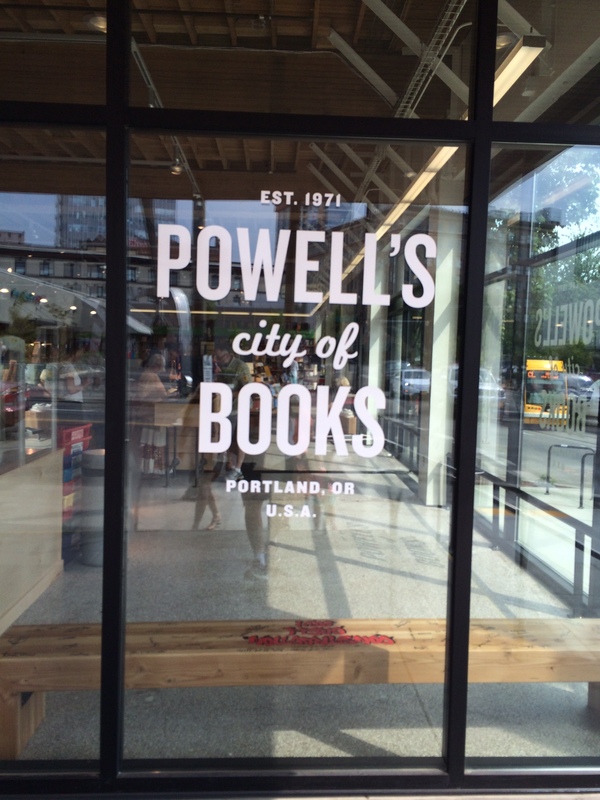 My favorite photos are the river scene and the Powell’s City of Books. Portland is featured in more movies than people realize. Fun pictures! I’ve been to Portland but I was just a kid and don’t really remember much. Never had bone marrow ice cream…regular marrow yes – but as ice cream…can’t figure out how that would taste. I took a picture of the sign but don”t know anymore than you do about what it tasted like. Great collection of photos. I wish, you wrote a bit more about all of them. 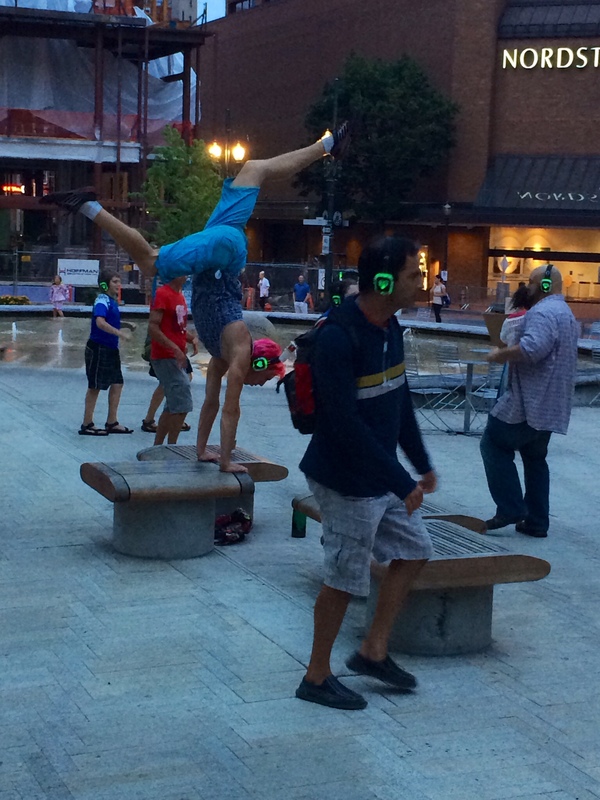 Portland is an interesting city, I’ve always heard. I did spend one overnight there but didn’t really get to feel like I had sampled the flavor there. I am always eager to try new tastes but bone marrow soup is really unusual. The only thing keeping me from Portland is the lack of sunshine much of the time. 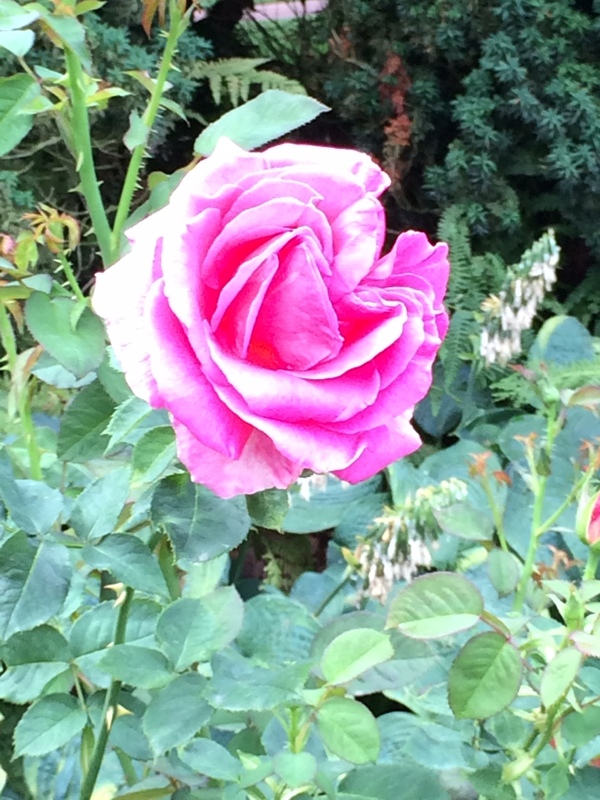 Nice images. I’m told it’s dry between July 4 and Labor Day and that’s pretty much it. I went in August so I missed the rain. With some more sunshine the population would probably double. 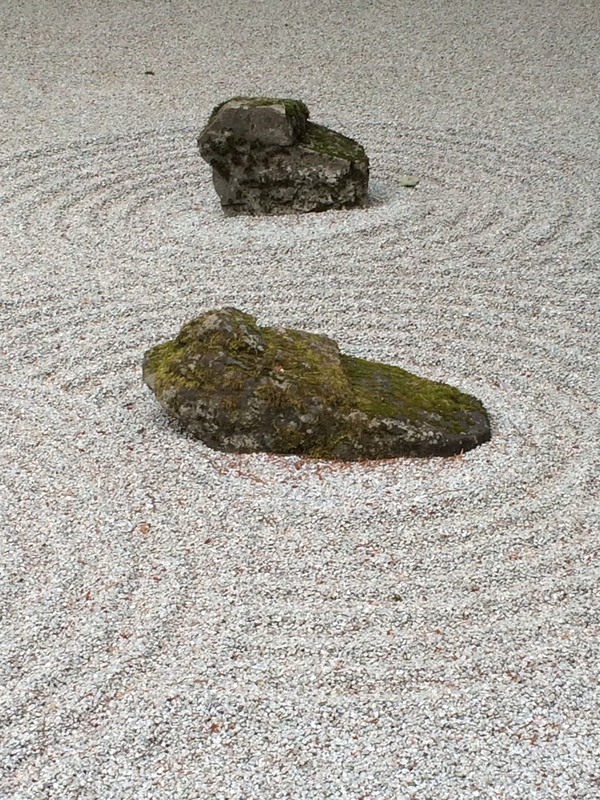 I enjoyed the photo of the sand and stone garden. I can imagine it being very relaxing.